CONTEST!!! 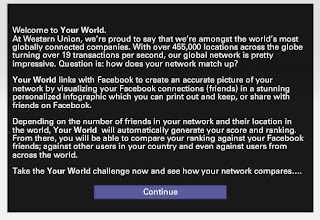 : Mix and Western Union's Your World Challenge - Hello! Welcome to my blog! Contest ALERT!! Contest ALERT!! Contest ALERT!! Are you the world’s most globally networked individual? 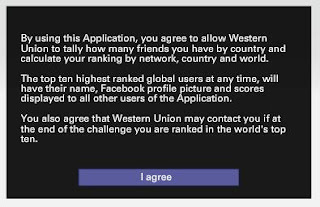 One of the world’s most globally connected companies, Western Union, is celebrating its 160th anniversary by launching a hunt for the most networked person in the world. With 470,000 locations in 200 countries and territories, Western Union has an enormous global presence. 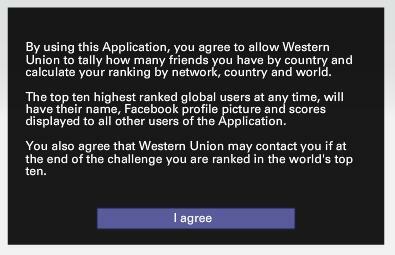 To celebrate this unique status, Western Union is calling for the Philippines’ most globally connected individuals to step forward and take the Western Union Network Challenge at www.westernunionworld.com/yourworld. and with the Western Union is also giving away a prize!!! Simple right? 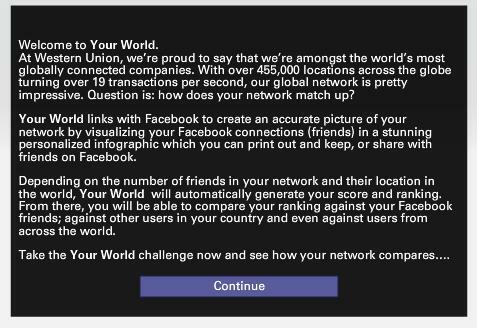 after that, your personalized network graphic with your friends on Facebook. And once you have that... don't forget to click the 'Post to Facebook' on the upper right screen. Take a screen shot of it, upload it on my Facebook page https://www.facebook.com/mixofeverything and voila!!! you're all set!!! 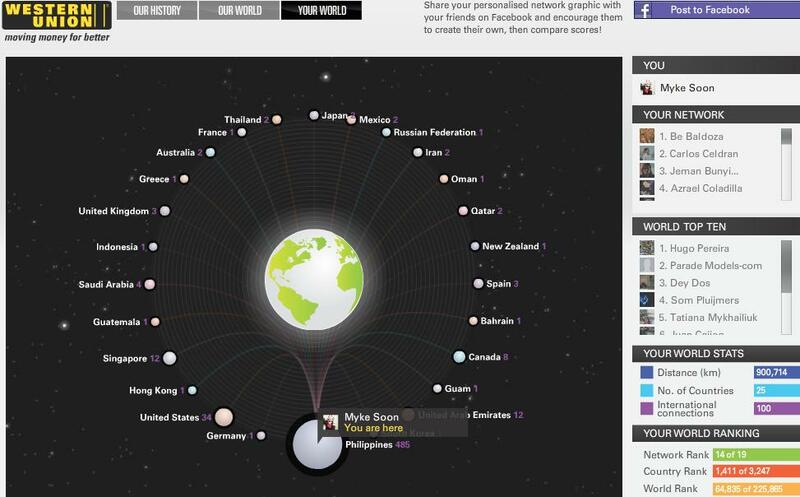 You may also tweet me https://twitter.com/mykesoon to let me know that you already uploaded your screen shot to my page. Along with the screen shot, answer this question. What are the 3 pages / section of westernunionworld.com? Entries will be raffled off then 1 will emerge the winner of 2,000 worth of SM SODEXHO certificates!!! !